Firstly, I would like to extend my commiserations for the 'loss' that was not a loss in the Zimbabwe 2018 elections. Like most of the millions of Zimbabwe's Diasporas, I followed every detail of the election with anticipation. My anticipation wasn't necessarily for your party or any other's victory, but of a new beginning for Zimbabwe. 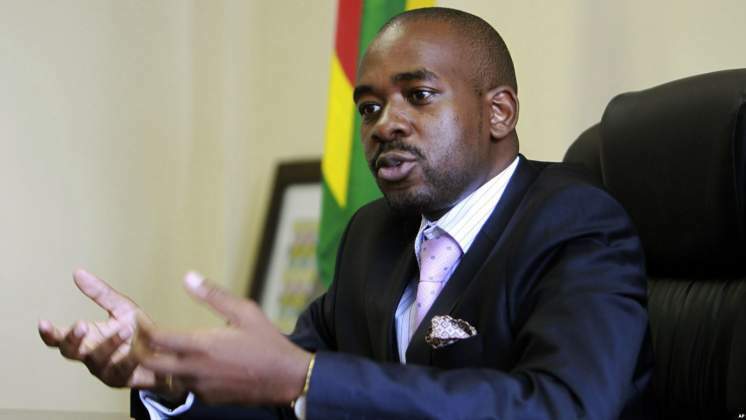 Lord knows it would be a lie though if I don't let you know that you were my preferred candidate, chiefly because I was forced out of my mother land by your main contender – ZANU – PF, for reasons best known to me – not important here. It was sweet-sour observing the unfolding of the whole election process from a distance. Sweet, because the entire campaign and voting process was more peaceful than it was at some point in our election history when a close friend of mine spent a week in prison only to be released after the voting process was over - he couldn't vote. I hope you have guessed which period I'm talking about. In fact, I felt, as I watched, that the peaceful environment that obtained throughout the campaign process was foreign to Zimbabwean elections and I'm thankful that you've already commented your countrymen for that. That is not to say there was no intimidation or violence though - it was minimal. You and I agree that the process did not end well though. The violence that took six lives and injured dozens was unfortunate. Like most sane people out there, you and I condemn the unleashing of soldiers on unarmed civilians. It was unfortunate that some reports indicate that some of the victims were passer-byes. In all honest, I feel that you, as a political leader, and president-elect, ED Mnangagwa should partly bear the blame (forgive me to say this). I feel that you could have softened your co-principal, Mr Biti to be less harsh in his presser that preceded the violence – something I believe a man of your calibre could have done with ease. It seems I repeat, seems to an observer, like me and hopefully others out here that people might have taken his statement that people would 'defend their vote' as meaning that they needed to demonstrate. I'm cognisant, though that nothing is wrong for people to demonstrate peacefully. However, with AIPA and POSA still in place, one would be tempted to say you should've anticipated the violent that has long characterised our 'military state' and warned our 'uninformed' civilians (I'm assuming the demonstrators were your supporters, I know that could be contested to some extent knowing our history). On his part, president-elect bears the blame too. Everyone knows who the commander-in-chief is. He could've acted with some restraint. I understand that, the demonstrations, like the elections themselves, started very well and became very violent as they progressed. In spite of that, no amount of violence could've justified the brutality we witnessed, especially at the glare of the world. Turning to the elections results, you and ZANU-PF know elections were flawed. I and the international community also know that. As far as I was at the time, it was evident that elections were being stolen at the glare of the whole international community. No one seemed to care though save for their cosmetic recommendations (it's my opinion though). From the video of an abandoned truck with unsealed ballot boxes to the alleged un-posted V11 forms in some polling stations, one would have already anticipated the final result, even before the actual announcement. My opinion is that that could be one of the reasons that caused your party's pre-emption of the results. Lastly, I have no doubt that you have good intentions for Zimbabwe. You made people like me believe again (in Zimbabwe) and find some hope where it was entirely lost - your spaghetti roads, bullet trains, e-government brought smiles on many youth I spoke to. Note that no irony is intended in my statement - we're seeing those things here in the diaspora and believe it's possible in Zimbabwe too. After weighing up some of the possible options, I'm left puzzled at the limited options available for you, Sir. I have come up with the following as some suggestions. Under normal circumstances, you would be entitled to legal remedy (forgive my terminology, I'm not a lawyer). However, given the Zimbabwean context, I don't think that it is of any use to contest the results in our courts. I doubt that happened in Kenya's last election can happen also in our country. Remember, it is the people like Judge Chigumba (I guess many from ZANU-PF are judges too) that you'll present your case to. Lord knows where they take their powers from. This could be very effective for our current 'government' that is still seeking international approval. However, given that such people command the security sector, I foresee further spilling of blood should you try this route. Mind you, the heavy-handedness we witnessed recently was meant to send a strong warning to you and your supporters that the power-being is ready to crash any demonstration. To save your life and the life of those who look up to you for leadership, I would advise you to concede 'defeat' which is not a defeat, I believe. If you were really not defeated (I personally think so), the world will realise that one day. We saw it with our former president RGM, the so-called watershed celebrations never lasted very long when cash vanished from people's banks. I don't wish evil for Zimbabwe, but I know the truth will always come out. Recently, I heard that Rodrigues (apartheid era police who killed an activist in 1971) appeared in South African courts. That's 47 years later! You're still 40. My feeling is that your conceding of defeat would be a sign of maturity, something a lot of people say you seem to lack. That, I believe, will build a foundation for your future political career. I see a brighter future ahead of you. After all this is just my opinion.